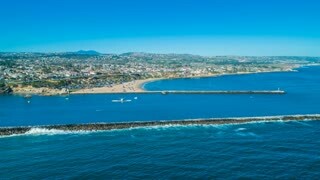 Search Results for "del mar"
4K aerial footage from a drone over The Wedge surfing spot in Newport Beach with the harbor entrance, Corona Del Mar, Fashion Island, blue skies and coastal homes in the background. 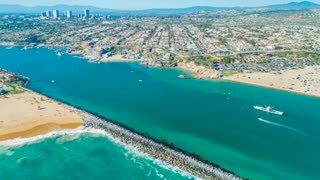 4K Aerial footage from a drone over Newport Beach harbor entrance with blue skies towards Corona Del Mar with the Pacific Ocean, beach and tourists during the Summer with coastal homes in background. 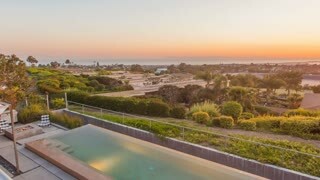 Timelapse in motion (hyperlapse) of a mordern luxury home real estate listing in Corona Del Mar, Newport Beach, California with a swimming pool, trees, orange sky at sunset with Fashion Island shopping center in view. San Diego - Del Mar Horse Racetrack - Drone Video. Aerial Video of Del Mar Thoroughbred Club racetrack is an American Thoroughbred horse racing track at the Del Mar Fairgrounds in the seaside city of Del Mar, California. Playa Santa Maria del Mar. A recording of the Cadiz waterfront in Spain and the view along Playa Santa Maria del Mar. Beaufyful Casa Del Mar, Tarfaya (Cap Juby), Morocco. Tarfaya was occupied by the British in 1882, when they built a trading post called Casa del Mar. DEL MAR, CALIFORNIA/USA - JUNE 08 2018: Freight train passing carnival rides at the Del Mar fairgrounds during the San Diego County Fair. Hospital del Mar Facade in Barcelona. Camera car traveling along Hospital del Mar building at sunrise. Typical street in Barcelona downtown city. Barcelona city center buildings and architecture. Driving through the streets of Barcelona. Casa Del Mar, Tarfaya (Cap Juby), Morocco. Tarfaya was occupied by the British in 1882, when they built a trading post called Casa del Mar. The building is currently in a state of complete disrepair. DEL MAR, CALIFORNIA/USA - JUNE 08 2018: Nighttime fair rides reflecting on the water at the Del Mar fairgrounds during the San Diego County Fair. Corona Del Mar Beach. Corona Del Mar beach in Orange County, California. Corona Del Mar Orange County. Corona Del Mar in Orange County, California as seen from just off coast.